is waiting for Godard. 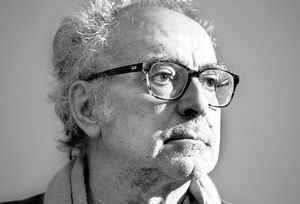 Jean-Luc Godard, the legendary French film director, controversialist, and self-styled intellectual who – to the bafflement of the US media (but the delight of his loyal fans) – has responded to news that he is to receive an honorary Oscar with the weariest of Gallic shrugs. The Academy of Motion Picture Arts and Sciences announced on Wednesday, with huge fanfare, that the 79-year-old auteur, whose career spans in excess of half a century, is one of four lofty individuals who will this year be given a special gong for "extraordinary distinction" and "exceptional contributions" to cinema. That's the plan, at least. But after two days of frantic effort, the Academy has failed to track down Godard to inform him of his good fortune. Letters, faxes and calls have all gone unanswered, and they now suspect that the reclusive film-maker may be deliberately ignoring them.